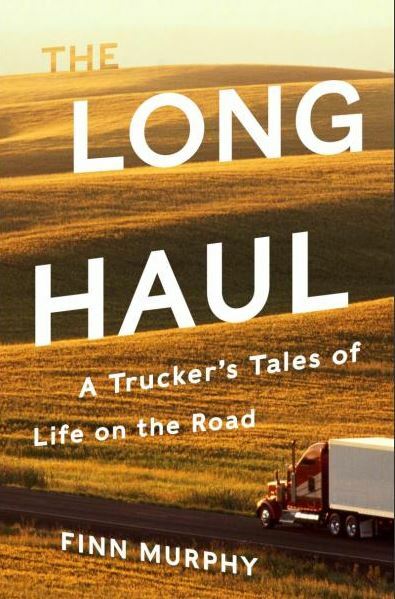 If you are looking for a quick, easy, and entertaining read, The Long Haul might fit the bill. I chose to read it because I was interested in learning more about the life of a long haul trucker, how life on the road is for the drivers, and how they deal with all that traffic. While The Long Haul offers insight into those things, it also is a bit more than that. Author Finn Murphy has an entertaining way of telling stories. Murphy started as a mover, working for a small company in Connecticut. After a few years in college, he dropped out to work full time as a “bedbugger”, a long haul truck driver who moves people. Murphy aptly tells the trucker’s tales, but also describes the unique challenges associated with doing higher profile corporate moves. Some of the stories are comedic, some tragic, and others offer commentary on social classes. In many cases, Murphy describes the typical corporate client (highbrow) often treating the mover (perceived lowbrow) in a crappy way and the mover providing a subtle, but non-harming method of revenge. I’d say Murphy is a more sophisticated individual (he listens to Fresh Air interviews by Terry Gross while on the road) although he is working in what is generally thought of as a lower brow job (moving home furnishings and driving a truck). But Murphy also describes the importance of manual labor, from both a societal and personal perspective. A relatable quote from The Long Haul: “Many young male neurotics find out early that hard labor is salve for an overactive mind.” I’d argue that this often applies to older individuals also, and not just males. Likewise, on the value of manual labor: “Hard work temporarily shut down the constant movie running in my brain that looped around in an endless cacophony of other people’s expectations, obligation, guilt, anger, and rebellion.” I feel the same way about manual labor, but would add that reading a book or doing something relaxing like having a drink and watching birds, butterflies, or flowers equally works to dampen these things down. But I think I’d say rather simply that those things are just good for the soul. Thanks, Sam. My son-in-law drives truck and I think this may be a stocking stuffer for him this year. (Since Ice Road Truckers is one of must-see tv shows, I think I’d better get a copy for me too. )Sounds like a great read.